There is also a decorative image on the left side of the label. Also branded Viotti on the button. 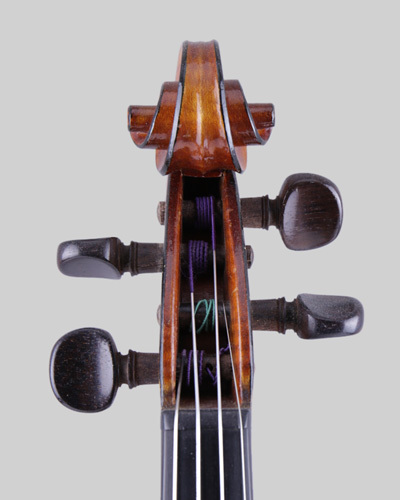 The Viotti violins are good French instruments made in the Italian style, this example is from the Laberte - Magnie workshops and was made around 1920. In excellent near mint condition with just the smallest of imperfections. With a two piece back 14.3/16 (360mm). 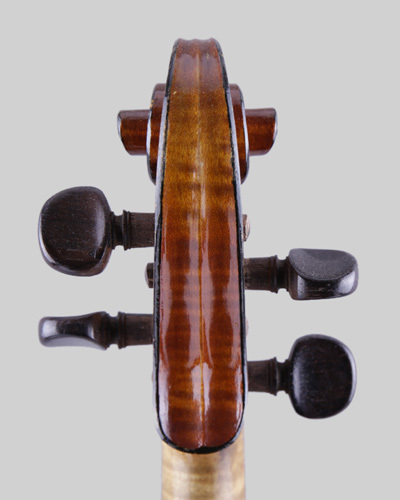 Set up with rosewood fittings, Pro-Arte strings and supplied in a new case. Good in voice with a well balanced resonant tone and a lovely clear treble sound. 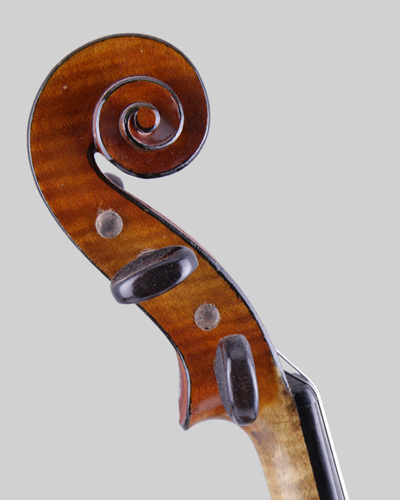 A nice instrument that is a joy to play!